This website is all about teaching people how to make sushi in their own home. Whether you want to become a professional chef or just make it for fun- you’ll find everything you need to know right here. When it comes to sushi, I have a motto that I like to live by: Keep it Simple, Clean, and Sustainable. While making sushi may seem difficult at first, I have made it my personal responsibility to make the process as simple as possible. My tutorials feature step by step instructions with pictures and/or video footage to accompany each step. I don’t just mean sanitary standards. To me, being clean encompasses having intuitive design, clear instructions, and maintaining business practices to keep myself environmentally responsible. Now, more than ever, its crucial to be mindful of our environment and especially our oceans. I advocate using only the best ingredients in my tutorials and in your homes. I pride myself in being able to provide you accurate information on which ingredients are sustainable to our planet. an ever growing project of video & written tutorials, creative & traditional recipes, and advice on where to get the materials you need to roll sushi. Learning how to roll takes a lot of time and practice, wouldn’t it just be easier to go out to a sushi bar? Yes, it would be easier. But with any art form, the experience is enjoyable and worth the amount of time you put into it. Being able to roll and serve delicious seafood to your family and friends becomes an amazing experience- and it even saves you money! But learning how to roll is more important than that. Why is rolling important to know? Because you can help put a stop to the destruction of our oceans! The seafood industry has a dirty little secret that they have been hiding for decades- they have been buying products from fishermen who are actively destroying the delicate ecosystems of our beloved oceans. Everyday fishermen from various countries (even our own!) are going out on boats and using methods of obtaining seafood that are unregulated and extremely dangerous. Long lines, bottom trawling, and Fish Aggregating Devices (FADs) are just a few methods that produce hundreds – no thousands of bycatch sea life each year (bycatch is defined as species of sea life that the fishermen DIDN’T intend to catch. Killed because of the method and cast aside as byproduct). In fact, several species of fish and other seafood, found in most seafood restaurants, are on the verge of extinction. The population of predatory fish, world-wide, has dropped by 70% in the last 30 years. Okay. So eating most seafood is bad. Does that mean I should avoid it at all cost? Absolutely not. But knowing this information warrants taking caution when eating seafood. The seafood industry has turned into a colossal tyrant of the ocean driven by profit margins. It was never meant to be this way. But sushi isn’t the problem- the unregulated way we obtain the seafood is. So what can I do, as the consumer, to avoid eating unregulated fish? Well, for starters, you can ask your local sushi bar where they obtained their fish. But honestly, most of them wouldn’t know. The best thing you can do to make sure that the seafood you are eating was responsibly obtained is to obtain it yourself. There are several markets that promote sustainable seafood (for example, Target). If you see the banner for Vital Choice anywhere on this website, that is my preferred seafood vendor. So I don’t have to be an Activist to contribute? Exactly! You don’t have to jump on a boat to contribute to the sustainable seafood movement. By making a conscious effort to avoid most seafood restaurants (though some ARE sustainable- and they will probably tell you so) and by making seafood dishes at home, you can support sustainable seafood passively – which is just as good. 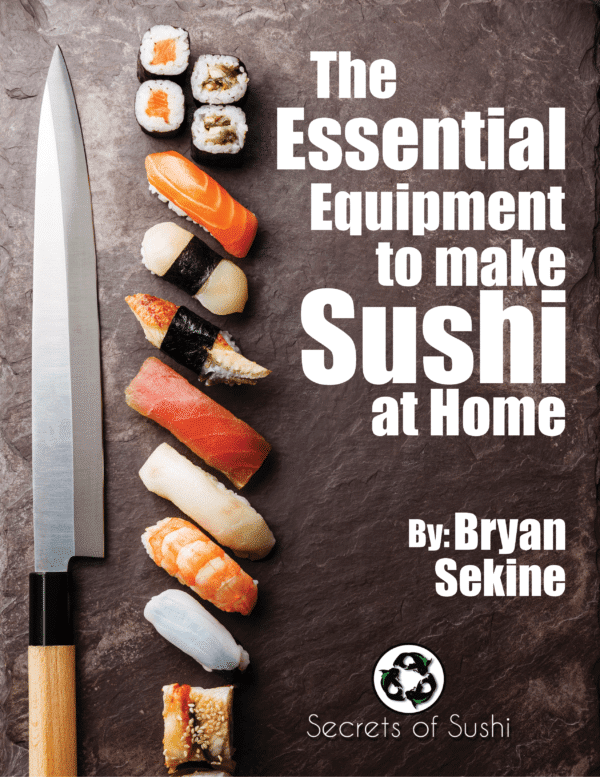 learn how to make sustainable sushi at home – don’t you? My website is dedicated to make learning how to roll sushi an easy and enjoyable experience. I will also show you a few different places to purchase seafood responsibly. Though the prices of ingredients may be a little higher, you will more than make up for the cost by making it yourself. It’s a great way to spend the evening with friends, put on a killer dinner party, or even just to throw a little variety into your date night. The best part: I will show you everything you need to get started for FREE! There will be a few tips and techniques, for the really advanced rollers, that will be made available for purchase at a later date. But for now, enjoy the freebies and have fun rolling!